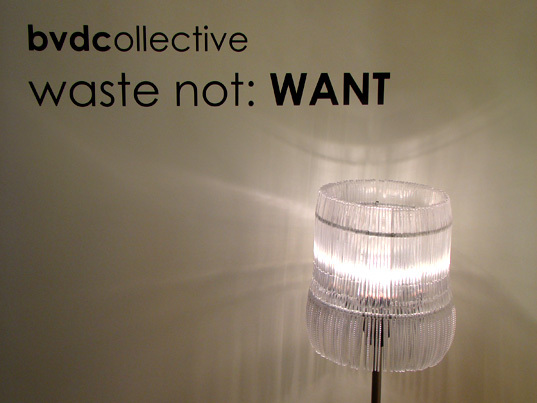 BVD Collective, a design team out of Appalachian State University’s Industrial Design department, has some great work on exhibit at New Yorkâ€™s International Contemporary Furniture Fair 2008. They have created several luxury items from 100% post-consumer material. 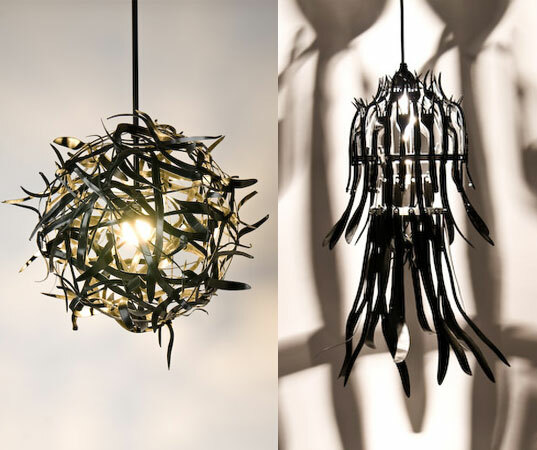 I saw the plastic knife lamp on display at the 2008 SouthEastern IDSA conference, and I’m excited to see it and other pieces get much more national attention. Be sure to check out the BVD Collective website for more information on the project, its origins, and the team behind it, as well as many more photos.